Feeding Times Approximately At 6 a.m. & 6 p.m.
Our boarding barn serves a variety of owners. Some who show as amateurs in driving, saddleseat, hunters, and jumping. Others are simply interested in riding for pleasure on trails and family events with either Western or English tack. All are interested in helping each other, safety, and having fun. Anyone who loves to ride will find Singlefoot Farm an ideal location. Situated near The Woodlands off of FM 2978, the State Forest is available for riding by trailering about 15 minutes east on FM 1488 to Jones Park. 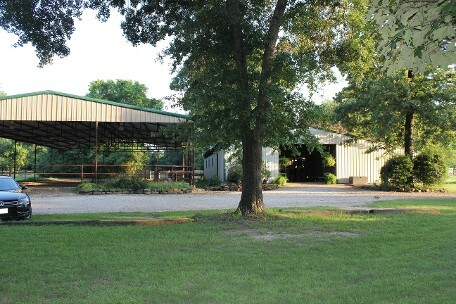 Our 20-acre facility offers large grass arenas for riding or driving plus our lighted covered for evening or rainy riding. The National Forest begins north of Montgomery, TX, with over 20 miles of horse trails — about a 45-minute haul from the farm.